Hubby and I were fortunate enough to be at Monday night’s game, thanks to our friends Carrie and Ed, who had two extra tickets available. We met up with them by the third-base gate and headed into the ballpark. 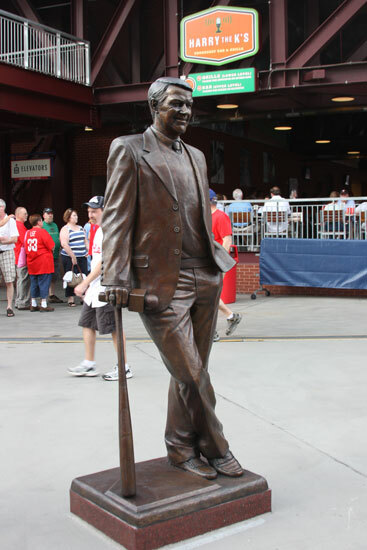 Upon entering, were greeted by the sight of 20 statues of the Phanatic, painted in various themes by local artists, and currently being auctioned off for charity. Carrie and I posed with one painted to look like the Liberty Bell. Just in time for Halloween, it’s “Phrankenstein’s Mascot”! This one is among the four currently up for bids. Bidding ends later today, and apparently there are a lot of people with way more money than they know what to do with! The current high bid for this one is just under $10,000, and another is over $15,000 (!). Millerrrrr Light, anyone? This friendly (?) beer vendorrr was working the stands prior to the start of the game. Aaargh! Poor rookies! 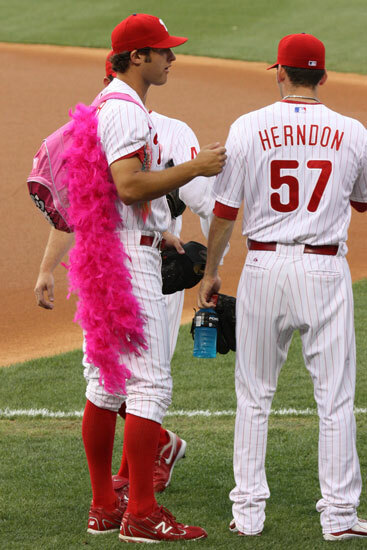 Pitcher Vance Worley makes his way to the bullpen with his Fancy Nancy backpack. My daughter would have had a field day in the Braves’ bullpen, with all these beauties to choose from! Cole Hamels was in fine form, giving up just one run over eight innings of work. Though he hit homers on Sunday and Tuesday, the “dirty hawt” Jayson Werth did not hit one this night. Contrary to certain people’s opinions (I’m talkin’ to you, Patti), this is just not at attractive look. Brandon Beachy, making his first major league start for the Braves, made several throws to first in an attempt to hold Shane Victorino close to the bag. All was for naught, however, as Shane successfully stole second, and evaded the tag with this slide. 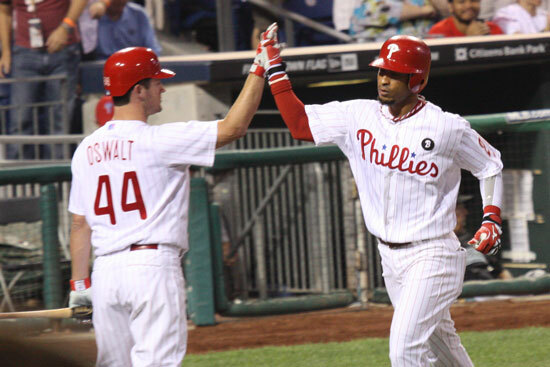 Wilson Valdez has been more than capable defensively while filling in for the injured Jimmy Rollins – he has a gun for an arm, and helped turn two double-plays for the Phillies. 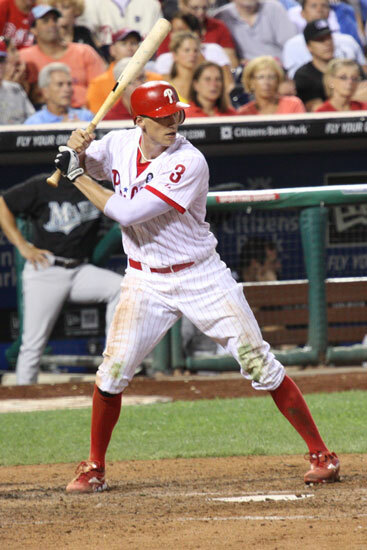 The Phils had a total of three DPs this night in support of Hamels. Carlos Ruiz has been having a fine offensive year for the Phils, contributing an RBI double in this game. 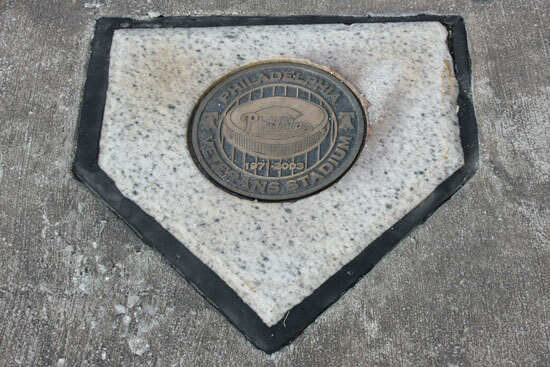 Brad Lidge came on in the ninth to get the save. The rally towels were waving so furiously, all the little white lint particles flying around looked like snowflakes! Well, sort of. 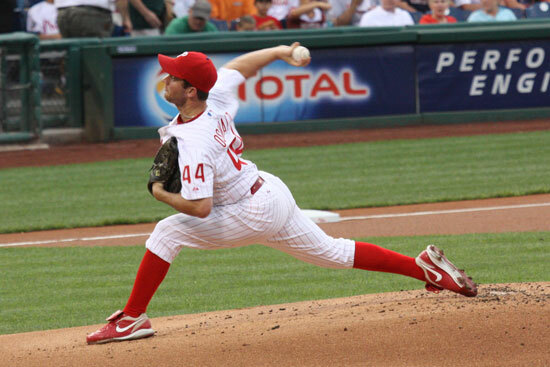 Anyway, Brad had a 1-2-3 inning, and the Phils won 3-1! 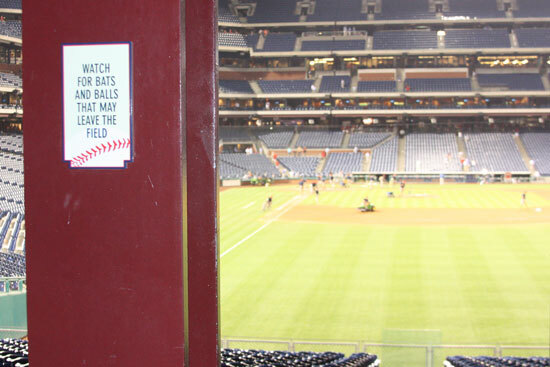 After three tight games (3-1, 5-3, 1-0), the Phillies are off tonight with a much-deserved break. They’d best be resting up for the Mets, who come into town Friday for the last regular-season home games. Let’s go Phillies!